Ah, U-Boat Worx. They are certainly no strangers to Geeky Gadgets. In fact, last time they were featured was 11 months ago. 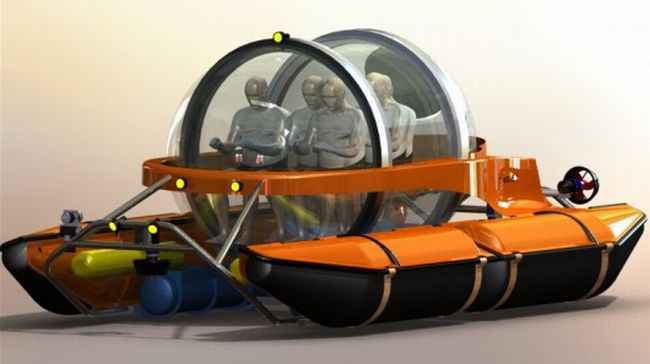 So, almost a year since they unveiled their mini-sub line, U-Boat Worx proudly announced that a budding Captain Nemo’s with enough dough can now charter their aquatic ride(s). U-Boat Worx have formally begun accepting charters that are basically rentals of their mini-subs. Based in the Netherlands, a great seafaring nation if there ever was one, U-Boat Worx have two different models available for anyone with 75,000 euros to spare. Each order comes not only with a three-person submarine but technical staff, logistics, and specialized equipment. The submarines available, being the C-Quester 3 and the C-Explorer 2, can dive to more than 300 feet and have 360 degree vision through their reinforced see through hulls. Pictured above is a digital rendition of the upcoming C-Explorer 5, which is the most spacious model yet.